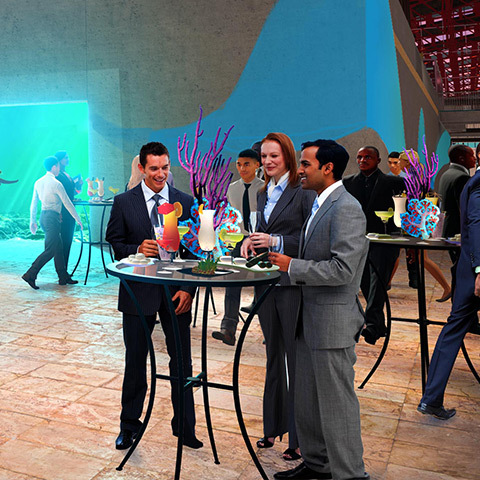 The St. Louis Aquarium at Union Station is the perfect living backdrop for a magical evening for your corporate or private functions. Let our experienced team take care of everything you need for your special occasion as we ensure your guests experience a night to remember. 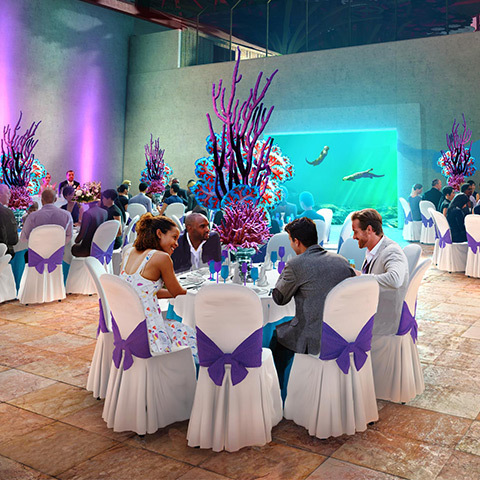 With several options available, our team can create a one-of-kind event that captures the magical underwater wonders. 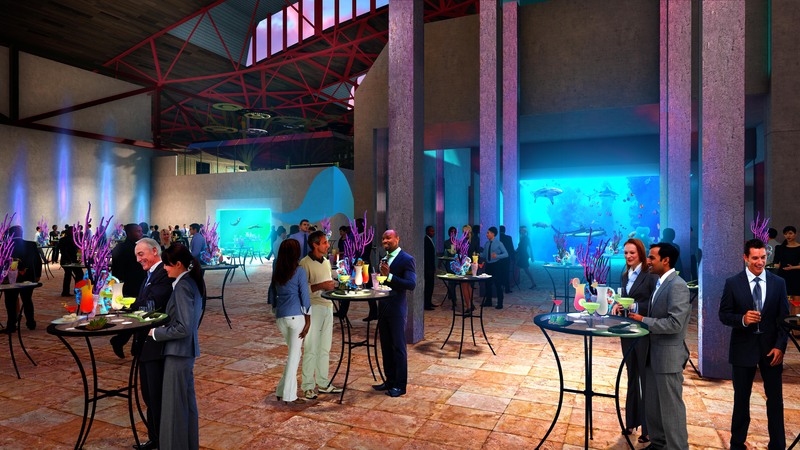 Once open, the St. Louis Aquarium at Union station is sure to be one of the most unique and elegant event spaces in the St. Louis region. Perfect for your reception or cocktail hour, guests will experience an immersive journey that starts at the confluence of the city’s two greatest rivers. As they meander down local rivers to the depths of the ocean, your guests will meet brightly-colored, larger-than-life and mystical creatures that will help make your function fun and memorable. Our iconic Shark Canyon viewing window is the perfect backdrop for a full bar set-up, while seating and stand-up cocktail options in Union Station Hotel's Midway East provide underwater viewing into both freshwater and marine exhibits.